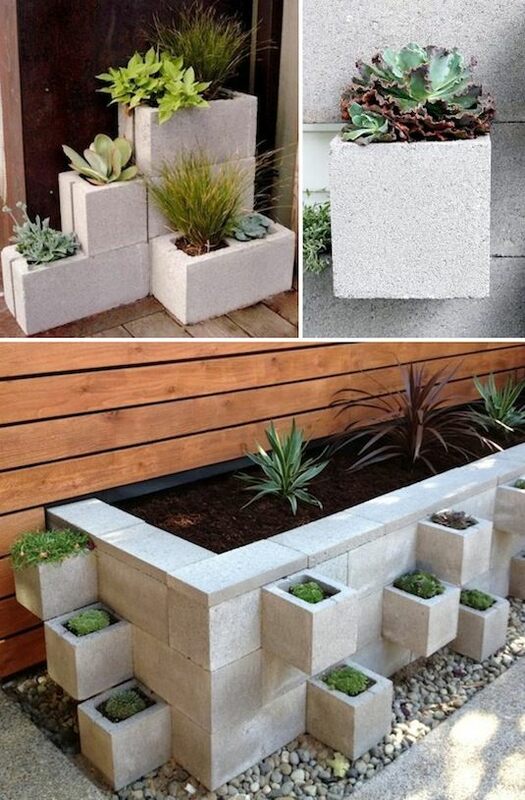 Stacked cinder blocks have readymade compartments that are ideal for a variety of plants. You can stack and build them to create a wall or fit a custom space. Take advantage of vertical space with an over-the-door shoe holder! 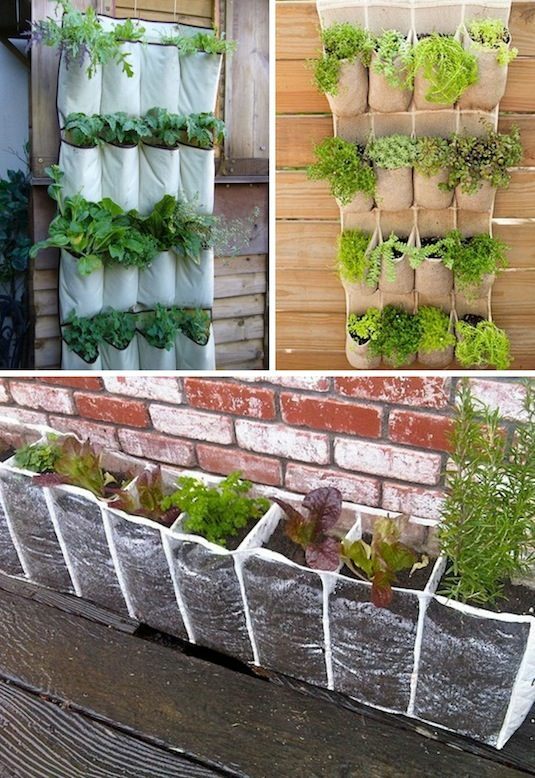 Use it to plant herbs for cooking, or just to decorate a wall or fence. 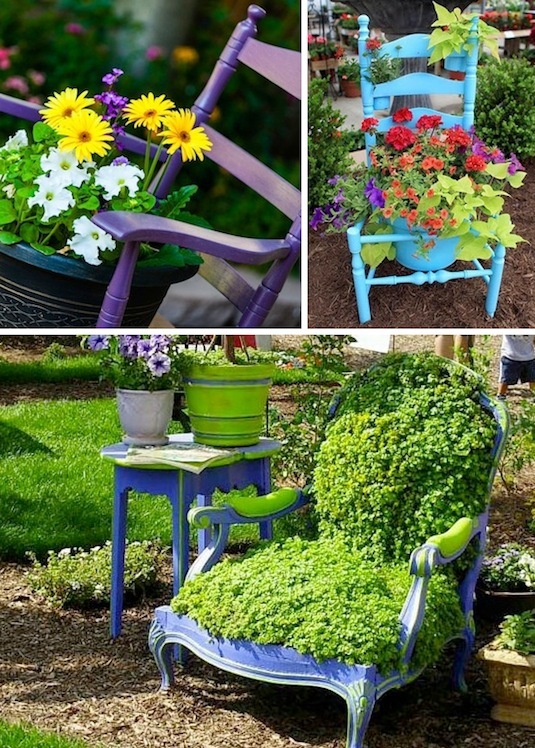 Simply remove the seat so that your pot can rest in the frame! This would be an awesome decoration in any garden.